Some people drive their cars year round, in all kinds of weather, while others park it in winter. Still others have a dedicated set of wheels just for summer or the track. Here's a sampling of summer tires recommended by forum members. 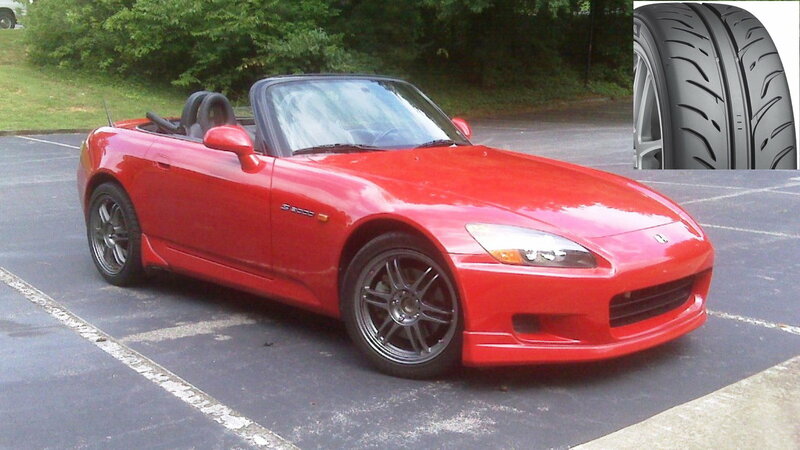 Also, remember that the S2000 comes with wider rear (245mm) tires than front (215mm), but some suggest moving up to 255mm on the back, and 225mm on the front. 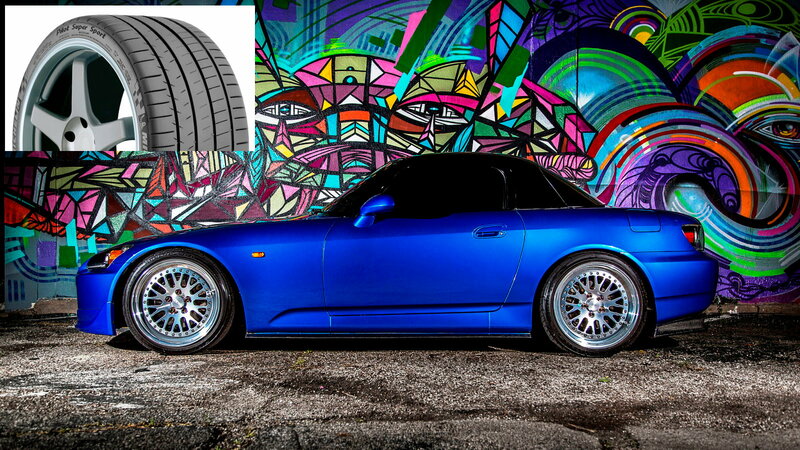 >>Join the conversation about the Best Options for Summer Performance Tires right here in the S2ki Forum! These are now Bridgestone's top street legal tire as far as grip is concerned. 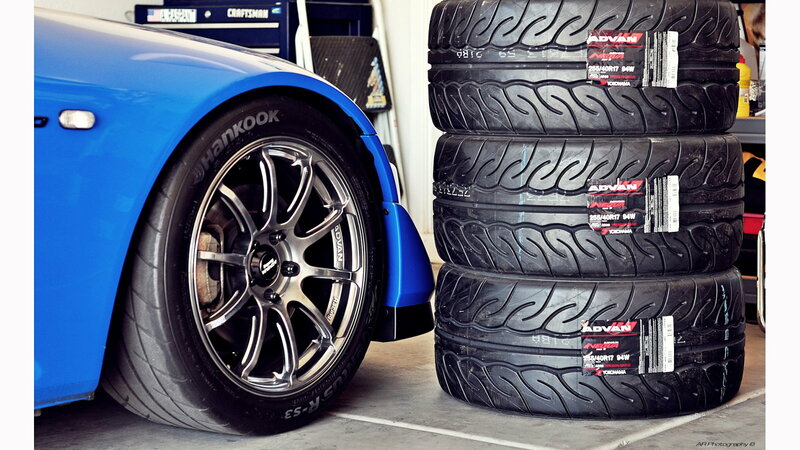 If you are looking for the ultimate street tire and don't care about tread wear, these are the tires for you. A set from TireRack in stock sizes is less than $650, and you can read their in depth test of them here. 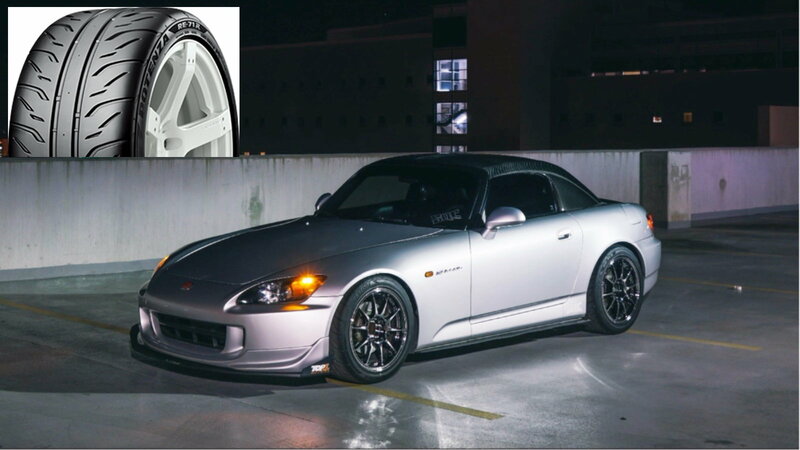 You can also choose the Potenza RE050, which was an original equipment fitment from Honda, but why pay more ($900 for 4 from Tire Rack) for an older design/compound that is rated for quicker treadwear? The Direzza Star Spec tires used to be the favorites of 24 Hours of Lemons endurance road racing teams because of their combination of great grip and amazing tread life. However, that was several years ago, and Dunlop revised the tire compound for more grip, sacrificing longevity, especially if the temperature is over 100 degrees on the track. As a street tire you can easily get a 10-20k miles out of them if you aren't doing track days. 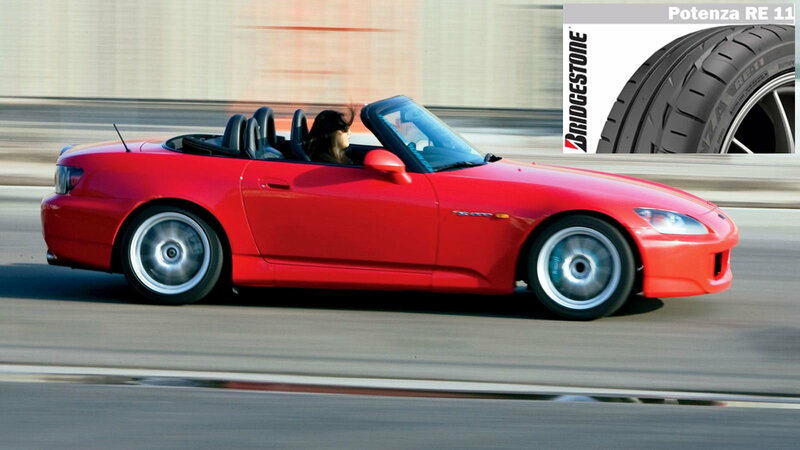 The general feeling in the forums used to be that "no street tire out-grips the Hankook RS-3 in the dry"... but they no longer make them in OEM sizes for the S2k. 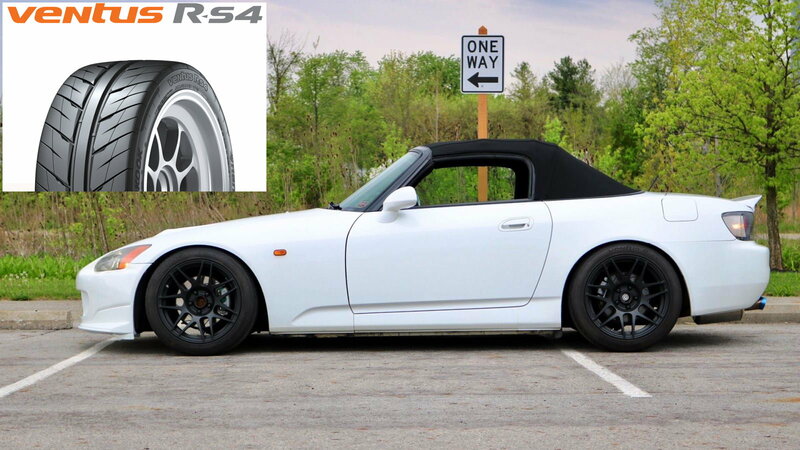 However, there is the new Hankook Ventus R-S4 to fit the Honda sports car, and a set of them is less than $600 from Tire Rack. It came in fourth in a Tire Rack test vs. the RE-71R, BFGoodrich g-Force Rival S 1.5, and Nexen N FERA SUR4G, but exhibited similar dry grip, and the lowest wear. S2ki member adrS2k (whose car is pictured above) probably has more track miles on his car than most people drive on the street in a year, and he switched from the R-S3 to these tires a few years ago. You can read his experience with them on this thread. One of the worst things about the Yokohama used to be the price, but they are being phased out and are now less than $600 for four via Tire Rack. If you believe in treadwear ratings, these Michelin Pilot Super Sport tires will last a lot longer than any of the others on this list. Forum members swear by them for all around performance that you can use on your daily driver. Some people even say they have more grip than the other, more extreme category tires, even though they are quiet and comfortable. Tire Rack has them currently for about $700 for a set of four.